Scrap This, Save That Giveaway! All I can say is WOW!!! Click HERE to go there and get your chance at these goodies. Because of the Brave Hop WINNER! 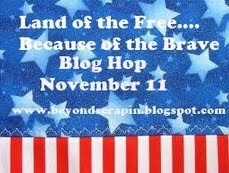 Thanks to everyone for visiting my blog for the "Because of the Brave" Blog Hop. I would like to give a special thanks to all my followers!! 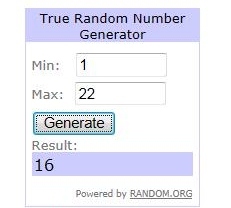 Now on to the winner of my blog candy. MawMannsaid...Great card! Thank you for being a part of this blog hop honoring our vets. I have sent an email to get the snail mail addy. 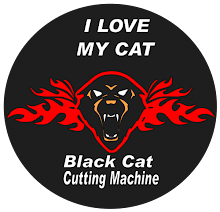 Thanks again to everyone who stopped by my blog and have a great day. Welcome to the 'Because of the Brave' Blog Hop. If you have arrived from Pumpkin Spice you are on the right track. If you get lost along the way, please visit our gracious host Nicolette from Beyond Scrapin' for the complete lineup. For this hop I have created a card to honor all our veterans. I used some amazing free digis from Computerscrapbook.com and printed them out to the size I wanted. This card was super easy to make and I love the faded vintage look of this kit. I also have a little Veteran's Day themed hop candy for you today. All you have to do is leave a comment with your email address. You do not have to become a follower but I would LOVE it if you did. I use my follower list as the #1 way I find new blogs to follow. Hope you have enjoyed the hop so far. Your next stop is Linda from The Fruit of My Hands. Have a fabulous Veteran's Day!